''The multiple streamers looked like faint auroral rays," says Laszlo. "The tail was visible in binoculars when Venus set." These are extraordinary observations and astronomers elsewhere are encouraged to confirm them. "Find the darkest sky you can," Laszlo advises, "and look west between one and two hours after sunset. 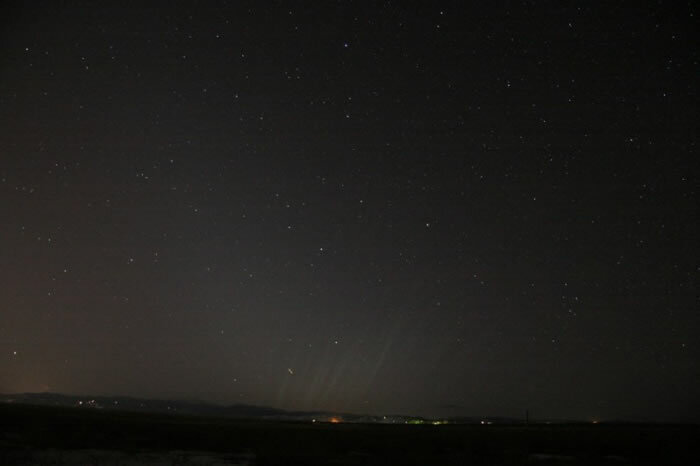 A site where you can see zodiacal light would be best." Try it!